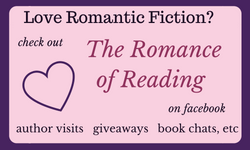 You are here, reading this blog, because of a romance. It might not have been a great romance. Or it might have been a stupendous, angels-sang-and-stars-fell sort of romance. The romance may not have lasted, and then again, it may have lasted for many years. Whatever the circumstances, a romance between two people made you. Where would the world be without romance? Our most enduring tales and legends are romances, such as one of my favorites, the tale of Lancelot and Guinevere. I remember being enthralled with their illicit love when I was a girl—from the tension of their attraction and their fruitless efforts to keep love from blooming, to their doomed lover. I wanted Lancelot and Guinevere to be forever happy! But I ached for King Arthur and wanted his happiness just as fervently! It was very heady stuff for a pre-teen. Romance has not mattered only in legend or fiction, it has also influenced our world’s histories. Think, for example, of the story of Czar Nicholas Romanov and Czarina Alexandra, who were so blindly in love that they didn’t see how unhappy their fellow countrymen were. Alexandra was seen as an outsider, and while Nicholas was romancing his czarina, giving her many happy babies and showering her with gifts, his people were starving. Nicholas and Alexandra were so into each other they didn’t see the approaching revolution until it was too late. It cost them their lives and the lives of their children. I can’t help but wonder what might have happened if the czar had not allowed love to blind him. Could he have changed the course of Russian history? Had it not been for that famous romance, the world would have been denied the reign of Queen Elizabeth II. Can you imagine the U.K. without Queen Elizabeth? Without Charles and William and Harry and a new royal baby? Yes, romance matters! It certainly matters to me, because my parents fell in love and married and had four kids, just like their parents had done, and their parents before them. I particularly love the story of my great great grandmother, who fell in love with an older man. He took her from a plantation in Tennessee and brought her to West Texas to live in a dugout. She never saw her family or Tennessee again. Life on the plains was completely different than anything she’d ever known. The weather harsh, the farming and ranching hard, and throw in a few skirmishes with Indians to boot. She had her first child in a dugout, alone, with a ranch hand sitting outside in case she needed help. She went on to bring five more children into the world, became one of the founding members of the town where I grew up, and an inspiration to all the daughters who have followed her. She was a strong woman, full of grit and determination, and had she not been charmed by the doctor who was twenty years her senior, not only would I not be writing this article or books, I would not have the blood of hard-scrabble, can-do ranchers running through me. Romance matters. Pick up a romance novel today. 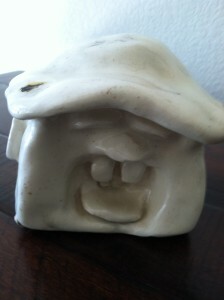 I have a ceramic thing, sort of a screaming head with a hat. It was supposed to be a self-portrait in my sophomore art class. It’s truly hideous. It shows a definitive lack of talent, irreverence, and a developing sense of humor. I love it. It’s a great reminder of a time in my life that I was pretty pleased with myself for no defensible reason, and I have carried it around with me all these years. If there was a movie made of your life, what would it be called, and who would play you? Fourteen Ways to Sunday, starring Melissa McCarthy as me. It would not be a drama, it would be a comedy of errors with a huge supporting cast. Many character names will be quickly forgotten and referred to as “that guy” or “that girl” in the credits. What is the best monetary gift you’ve ever been given? Easy – love. It has come to me in many forms, from many directions, and with many faces. Some of it canine, some of it human, some if spiritual. It’s made this journey worth taking, worth getting up every day and doing it all over again. That is a difficult choice for me, but I think perhaps the love scene between Lady Carey and Mr. Harrison Tolly in The Seduction of Lady X. Their attraction had been growing for years, but it was forbidden love and, as far as each other knew, unrequited. I love the scene where they finally come together. All those years of pent-up desire spilling out of them was lovely to write and to read later. 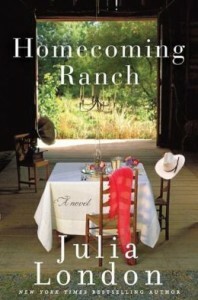 Julia has generously donated a copy of Homecoming Ranch to give away (international is okay). 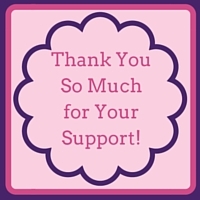 To enter, either leave a comment here or enter the weekly drawing on the contest page. Or both. (Only one entry per commenter per post, though – multiple comments on one essay does not give you more chances.) Comment entries must be posted by midnight EST Aug 1 to be eligible, though winners will be announced the following week. Julia London is the New York Times, USA Today, and Publisher’s Weekly best selling author of thirty novels, including her most recent titles, The Last Debutante and Homecoming Ranch. 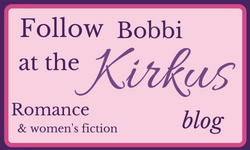 She is the recipient of the RT Bookclub Award for Best Historical Romance and a four-time finalist for the prestigious RITA award for excellence in romantic fiction. She lives in Austin, Texas.